Around the time of the new moon, when the stars are shining brightly, we frequently get beautiful displays of Northern Lights blazing across the northern skies. Their blue, green and violet hues dance across the heavens in a mystical way. After your dinner in the lodge, go out on the lake to get in your first viewing, then return to your cabin to cozy up by your fireplace. Just before turning in for the night you’ll want to step out and see the display again. It often will have gotten brighter and more encompassing as the night deepens. 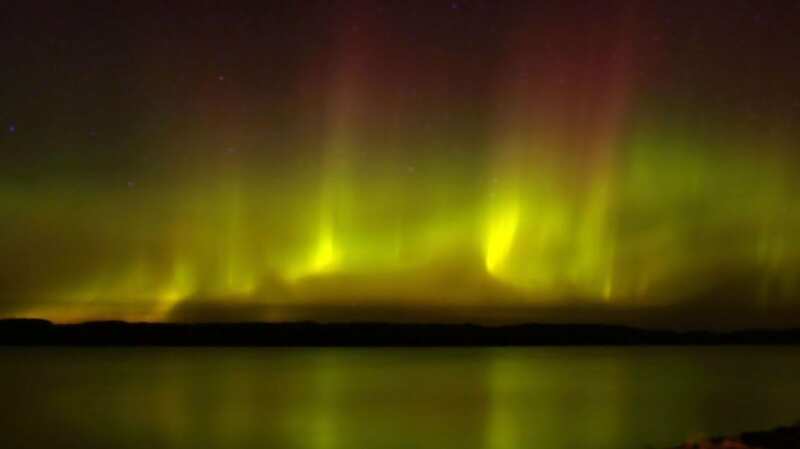 Of course we can’t promise a Northern Lights display every evening! But the new moon phase is the best time of each month for good viewing. With no light from the moon and no city lights to compete with, the displays can be breathtaking. And even if you don’t catch a glimpse of the Northern Lights, the view of the Milky Way in the northern Dark Skies is incomparable.